Though Charli and Troye were 7 and 4 years old, respectively, in 1999 the duo celebrate the year with an awesome pop-culture packed video for their collaboration 1999. This ode to 1999 is a catchy pop song and I loved the references they made in the Ryan Staake and Charli XCX-directed video. 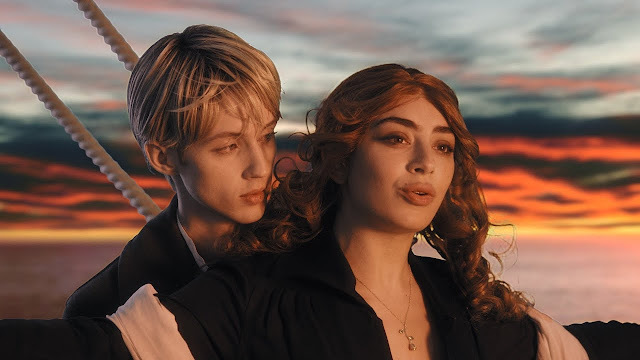 We see Charli and Troye cosplaying in several iconic 1999 moments such as Steve Jobs, all of the Spice Girls, Jack and Rose from Titanic, TLC's Lisa "Left Eye" Lopes, the legendary rose petal scen from American Beauty, Justin Timberlake, Eminem, Neo and Trinity from The Matrix, Baby-G watch and Sketchers, and even Sim versions of themselves. This is quite a fun video for all those that do remember 1999 and it is a good throwback. Do you remember all these iconic people/moments? Check it out below!